Watch Live TV Online Free Software with 1000's Streaming Internet TV Channels. Online TV Live lets you watch free Internet TV, on demand videos and listen free online radio stations on your PC, Games and Newspapers (+1250) on World Wide Web.TV is an extremely easy to use application and anyone can find their own favorite stations on TV. Music, news, educational, sports & shopping channels are sorted in a very easy to find way. Qweas is providing links to Live TV Online Free 4.8 as a courtesy, and makes no representations regarding Live TV Online Free or any other applications or any information related thereto. Any questions, complaints or claims regarding this application Live TV Online Free 4.8 must be directed to the appropriate software vendor. 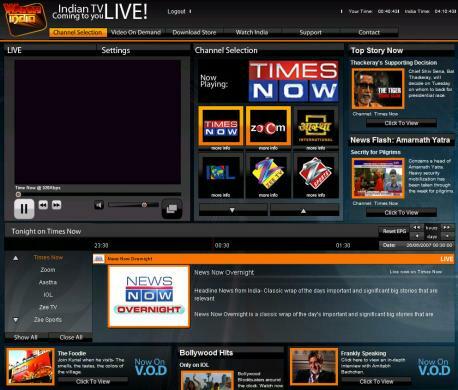 You may click the publisher link of Live TV Online Free on the top of this page to get more details about the vendor.